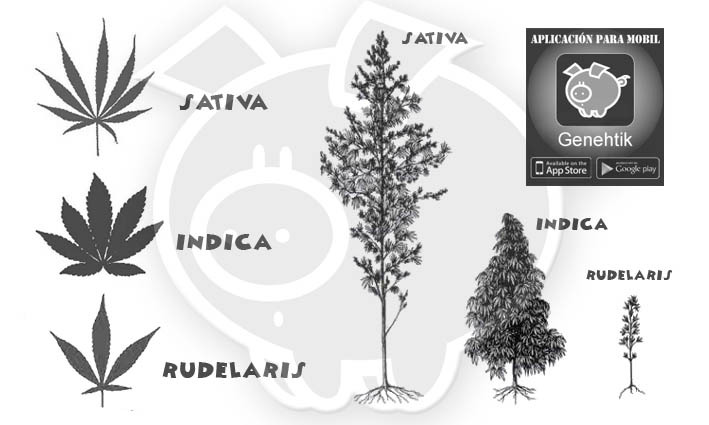 The existing strains of cannabis can be classified in three large groups: Cannabis Sativa, Cannabis Indica and Cannabis Rudelaris. 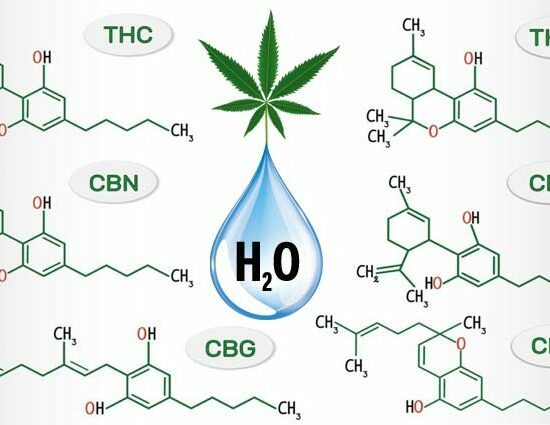 Each of these groups has different aromatic characteristics, provoke specific psychoactive effects and need a certain way of growing. 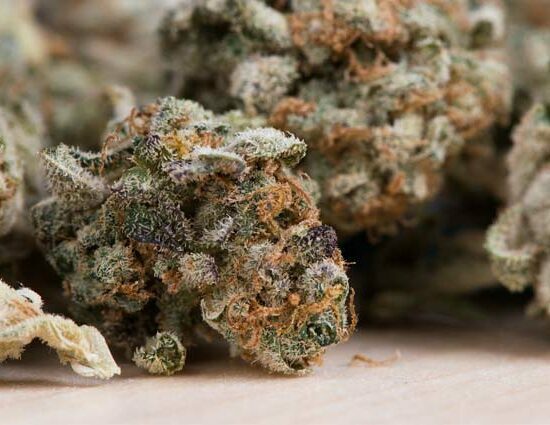 Most of the cannabis genetics that are found in the market are hybrids made up with the mixes of Cannabis Indica and Cannabis Sativa, but they always have a predominance of one or the other. Even though the auto flowering strains of cannabis are Indica-Sativa hybrids, they also have the inheritance of the Rudelaris allowing a quicker growth. Having a good knowledge of each group can help the grower to choose his favourite strain, apply the correct form of growing and obtain a better result. The Cannabis Indica strains are originally from sub-tropical parts of the world such as Afghanistan, Pakistan, Morocco, Lebanon, Nepal and Tibet. The climate in these places is usually more dry and arid, therefore the Indica plants are sturdy, short-heighted and with wide leaves. These strains produce more small and compact plants than the Sativa ones, and are similar to Christmas trees because of the amount of sunlight they receive. The Cannabis Indica strains have a relaxing effect increasing the smell, touch and hearing sense. We suggest its use during the night as its narcotic effect is perfect to disconnect and helps to fall asleep. Its medicinal use is known for its relaxing properties: relieves pain, soothes headaches and helps with insomnia problems. The Cannabis Sativa strains are originally from the equatorial parts of the world such as Mexico, Thailand, Jamaica and south of India. In these climates the Cannabis Sativa plants get shorter periods of sunlight due to which they grow taller than the Indica ones. They have longer and thinner leaves seeking for as much sunlight possible and having a better transpiration. The Sativa strains usually have higher proportions of THC in comparison to the ones of CBD, provoking cerebral, euphoric, energetic and psychoactive effects. They are ideal for consuming during the day as they allow us to carry out our daily activities, boosting our mood, increasing our concentration and helping us to develop our creativity. Because of this many artists (musicians, actors, painters …) use them to develop their artistic and creative activities. The Cannabis Rudelaris strains are originally from the northern parts of the world, like Kazakhstan or Siberia. These cannabis strains have a short cycle of life (between 2-3 months) as they come from a climate which has lesser and lower intensity hours of sunlight. They don’t depend on the exposure of sunlight to start flowering and are very resistant to inclement weather. 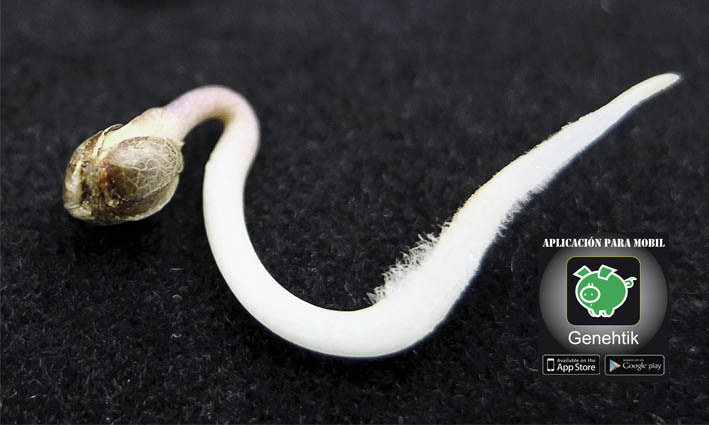 Due to their characteristics of short flowering periods they are used for the crossings with Indica and Sativa strains, creating the auto flowering plants existing in the market. The Cannabis Rudelaris strains don’t have any psychoactive effects because of their low levels of THC and CBD, moreover they are only used for creating auto flowering strains. The effect of these would depend on the crossing they have had either with Indica or Sativa. Note that in our www.genehtik.com cannabis seed bank you can purchase various guaranteed strains of high quality.